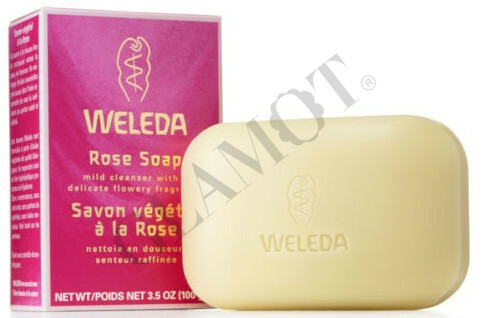 Clean and perfume your skin in one wash, with the creamy lather of vegetable oil based soap and the harmonising scent of damask rose flowers. Our damask roses are grown by farmers in the Turkish mountains, and the flowers gathered and dried before the precious essential oil for this soap is extracted. Rose oil has harmonising aroma-therapeutic properties and is one of the most skin-friendly natural essential oils. Blended with all-natural vegetable oils, Rose Soap cleanses your skin and brings you a feeling of harmony and well-being.